You are here: Home / 1. Visa / 1.2. 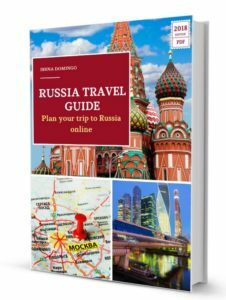 Visa to Russia / Where do I apply for a Russian visa if I live abroad? 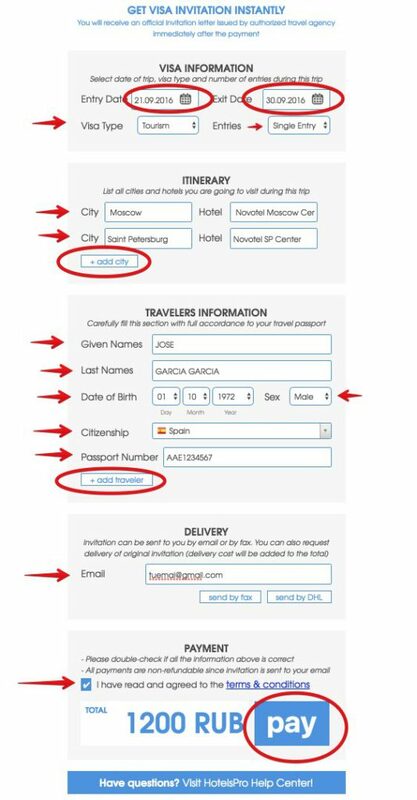 A frequently asked question is where to apply for a Russian visa if you are in a foreign country. Well, to request and process the Russian visa in a foreign country, you must have legal residence in that country, and go to the Russian consulate or the Russian visa center. To process a Russian visa in a foreign country, you need to have legal residence in the country for more than 90 days, either for work, studies, etc. In case you are a tourist, you will most likely not be able to obtain visas and you will have to return to your country to do the proceeding. Which documentation must be presented abroad? In case you have legal residence in a country other than yours, you should find out if there is a Russian consulate. 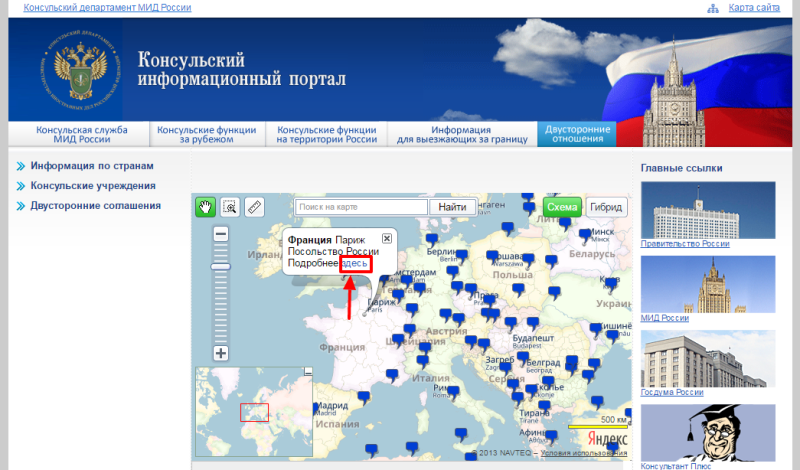 You can consult a list of all Russian embassies and consulates all over the world in the official website of the Russian Ministry of Foreign Affairs through the website: http://www.kdmid.ru/docs.aspx. 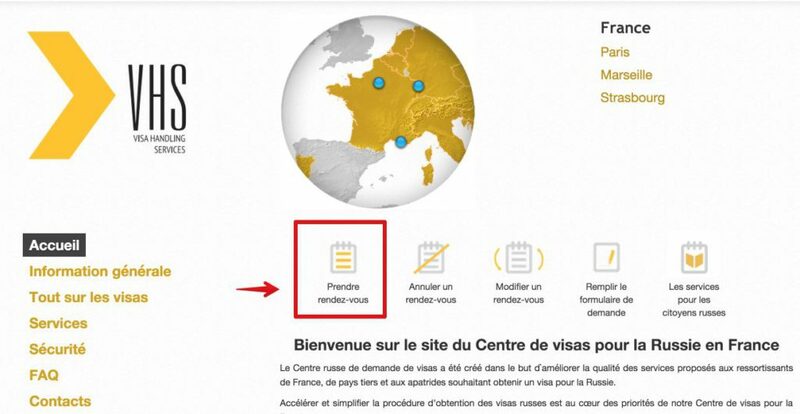 For example, if you’re in France, you can click on the map and see links to the official websites of embassies and consulates in France, and there you will find all the information relating to the processing of visas. You need to keep in mind that not all countries in the world have Russian consulate, and in many countries and their nationals a visa is not required to travel to Russia. More info on the official website of the Russian Ministry of Foreign Affairs through this link (information is in Russian but you can use the automatic translator). Keep in mind that currently in 32 countries, the Russian embassies, due to high volume of visa applications, have outsourced to private companies the proceeding of visa. These companies offer the service in their own offices and are often called “Russian Visa Centers“. These visa centers offer better service than the consulates (more offices, extended hours, processing of visa applications by mail, etc.) but instead charge a management fee that is usually around $30 per visa (though this cost may differ depending on the country). In these countries it’s often mandatory to apply for tourist visa through these centers, as for example in USA with the Russian Visa Center of ILS, or in the UK with Russian Visa Center of VFS Global. The truth is that few companies are specialized in the management of visa are responsible for managing all these visa centers. It must be noted that many of these visa centers allow you to apply by mail, which makes things easier for those who reside in places far from the large cities where these centers have their offices. Although it should also be said that from December 10, 2014 the processing of visas for citizens of Great Britain and Northern Ireland, Namibia and Denmark, it is mandatory do it in person because they have to collect your biometric data (fingerprints). It is a system that might be extended to other countries. It is important to add that the documentation submitted by a foreigner in a country other than his/hers is associated with the nationality of origin and not the country where he/she is doing the procedure. For example, for European citizens it is required to provide proof of medical travel insurance in order to obtain a visa, while for US citizens this insurance is not mandatory. This means that if a European citizen applied for a visa in the United States, he/she must provide the proof of medical insurance, even though it is not required for US citizens. Instead, if a US citizen applied for visa in any European country, he/she doesn’t need to provide such proof of insurance, but rather other documents required to Americans. In addition, the prices applied to foreigners to do the procedure in another country are also higher than those applied to nationals applying from their home country. 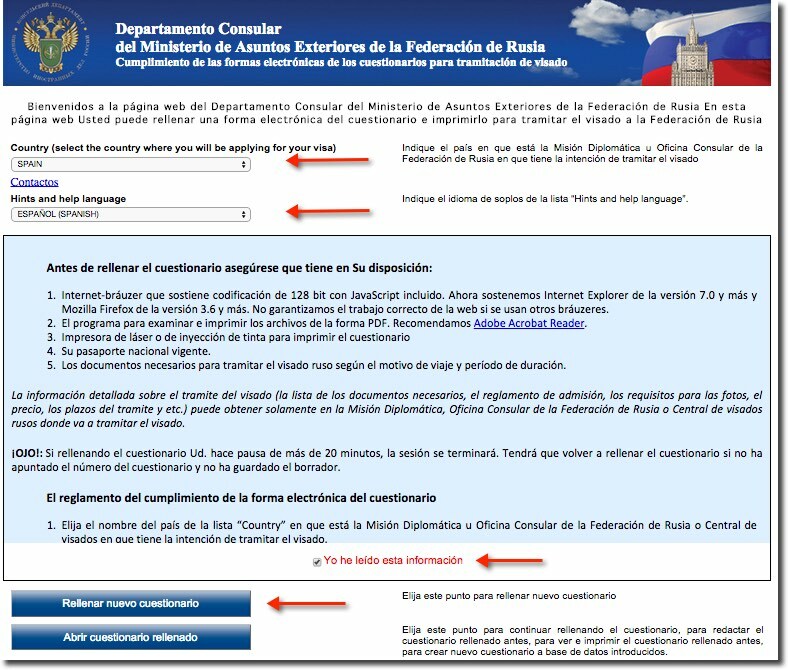 To find the documents required for each of the nationalities and the prices charged, it is best to visit the official website of the consulate or any of the websites of the visa centers, or consult it in their offices. The passport must be valid for at least 6 months from the date of expiry of the visa you’re applying for and have at least 2 blank pages in contiguous. 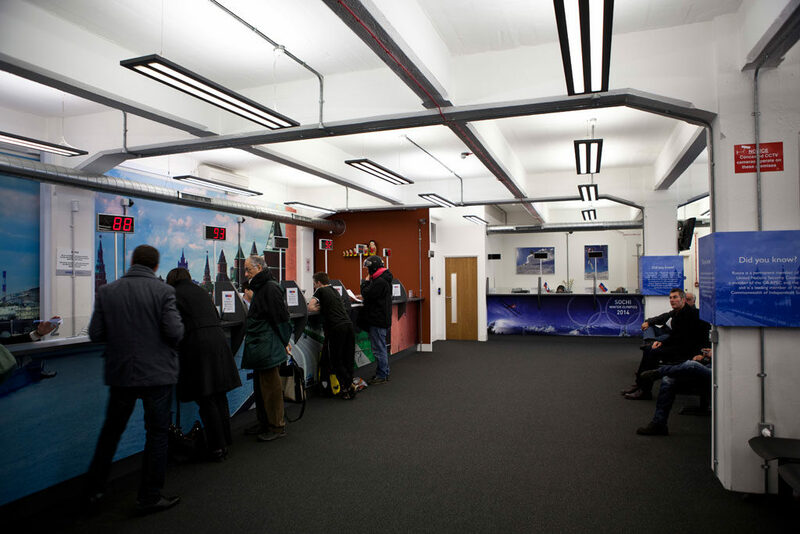 Fill the application form via the web: https://visa.kdmid.ru, in which you will have to choose in the first screen the country from which you are applying for a visa. The form should be signed and attach to it a recent color photo. The form is a little longer in the case of citizens of Australia, Canada, USA, England and Georgia. Invitation Letter, which you can obtain from HotelsPro or iVisa for $16. I hope this article has helped you apply for a Russian visa from abroad. 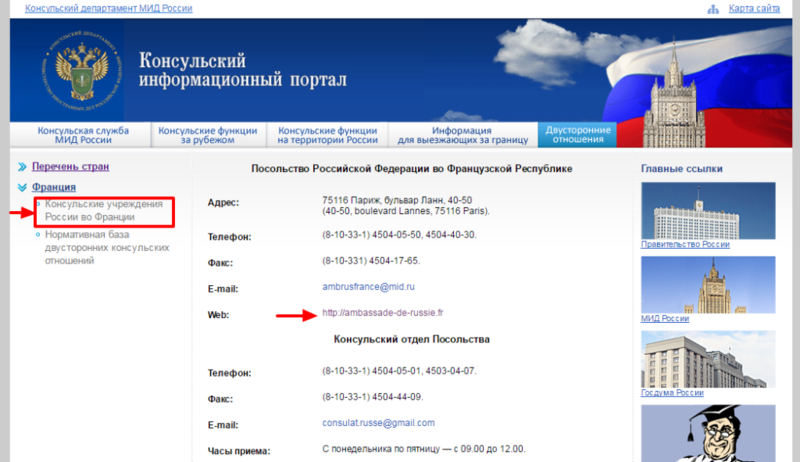 Below you can discuss your experience in applying for the Russian visa in another country.